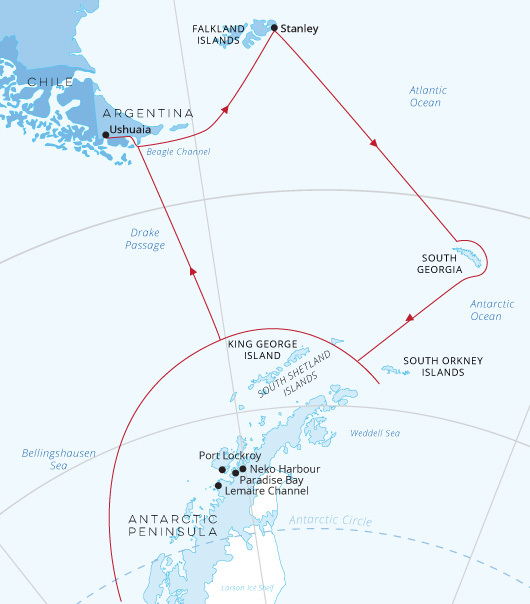 Combine the history and landscapes of the Falklands-Malvinas with the scenery and wildlife of South Georgia and the Antarctica Peninsula, crossing the Antarctic circle making for a truly unforgettable voyage. 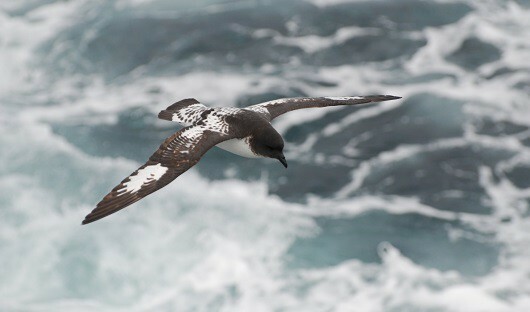 On top of world-class bird-watching opportunities on the Falklands, you’ll be breath taken by the wildlife of South Georgia. 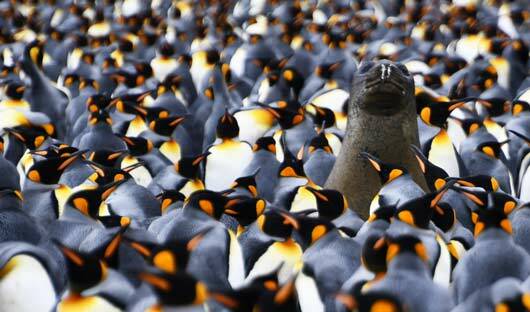 Vast king penguin colonies exist next to beaches covered with fur seals and elephant seals, fighting, mating and caring for their young. 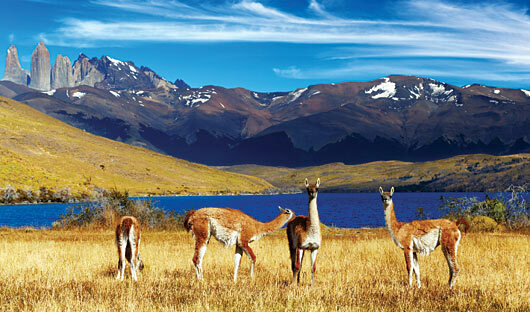 Arrive in Ushuaia, renowned for its breathtaking scenery. 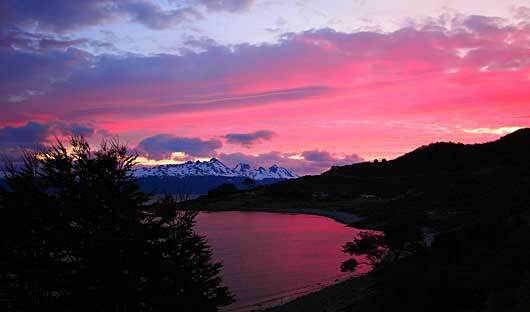 Ushuaia is the southernmost city in the world set on the shores of the Beagle Channel. 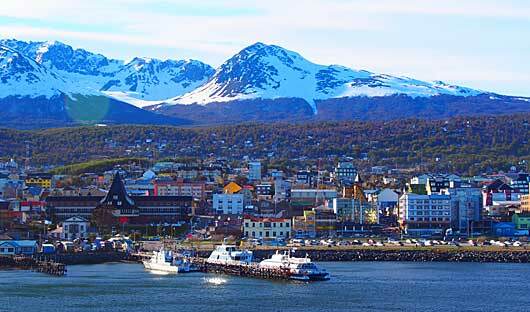 Ushuaia is a major tourist centre, particularly for people cruising to Antarctica. 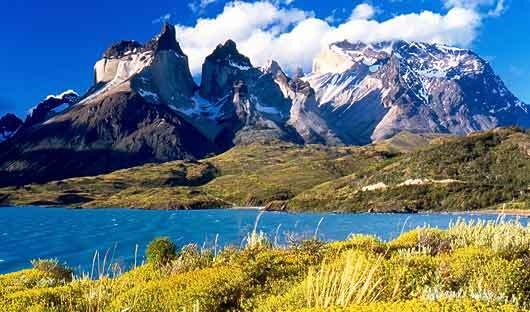 The city offers magnificent hiking in Parque Nacional Tierra del Fuego, the only coastal national park in Argentina. After transferring to your downtown hotel, the rest of the day is at your leisure. 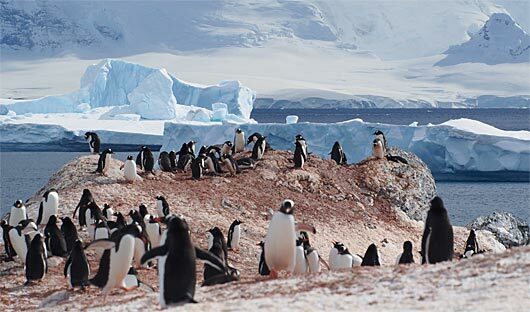 Located 477 kilometres east of southern Argentina, the Falklands~Malvinas is a unique mix of being a wildlife hotspot and inhabited outpost. An archipelago of over 700 islands, but consisting of two main islands, East and West, only seven of the islands are inhabited. 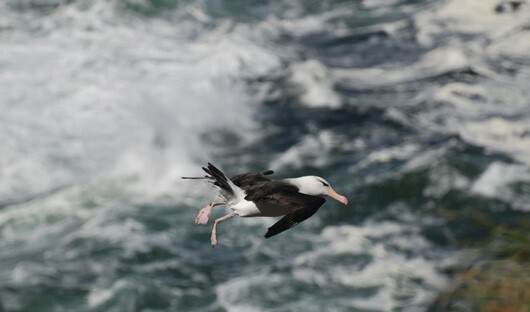 The cold nutrient-rich waters surrounding the islands makes them a prime location for marine life, including seabirds and seals. 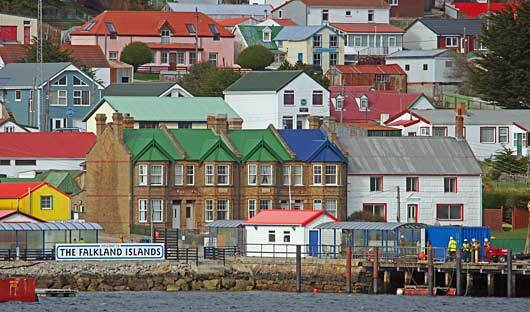 Your time in the Falklands~Malvinas includes a short walk in historic Stanley town. 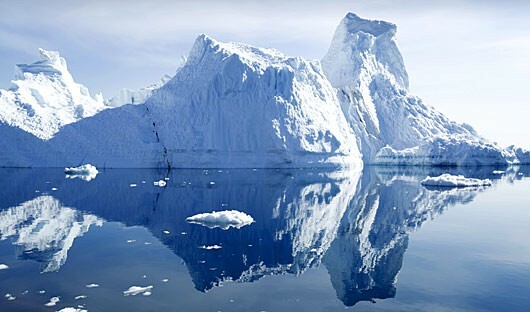 The experienced expedition team, who have made countless journeys to this area, will use their expertise to design the voyage, this allows you to make best use of the prevailing weather and wildlife opportunities. 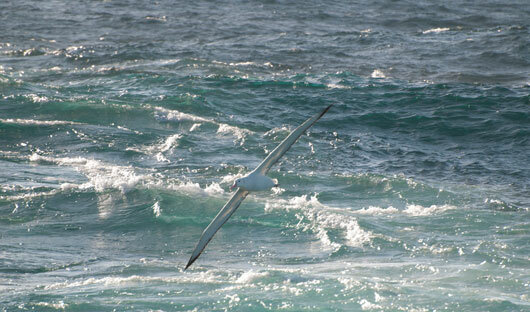 Between the Falklands and South Georgia, you will be entranced by the ceaseless flight of the many seabirds that follow your wake. Usually travelling into the prevailing weather on this leg it is difficult to estimate the precise arrival time in South Georgia. The lecture program will continue highlighting all of the incredible sights you would have witnessed over the past few days. You will have ample time to enjoy observing the sea birds, whale-watching from the observation areas, or simply relaxing with a book. If time and weather conditions permit, you may pass close to Shag Rocks, a fascinating group of jagged rocky islets protruding from the sea, in the proximity of South Georgia. 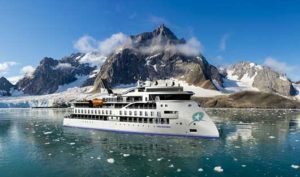 As you come to the end of your incredible journey and commence the return sailing to Ushuaia across the drake passage, you may choose to spend the sea days editing photos, staying active in the gym, treat yourself to a massage in the wellness centre, or attend an informative lecture; there’s plenty to keep you busy. 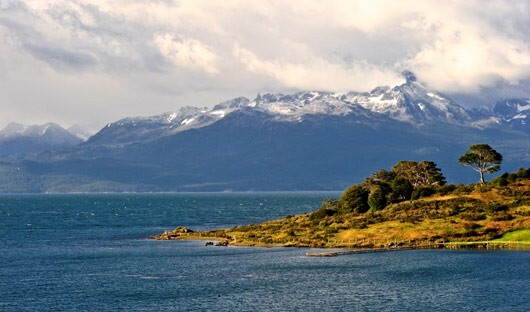 During the early morning, sail along the Beagle Channel, before quietly slipping into dock in Ushuaia, where you will begin disembarking ataround 8.00 am. Farewell your expedition team and fellow travellersas as you all continue your onward journeys, hopefully with a newfound sense of the immense power of nature. 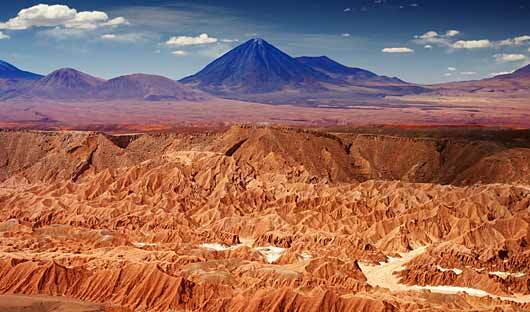 A transfer to either downtown Ushuaia or to the airport is included in the cost of the voyage.